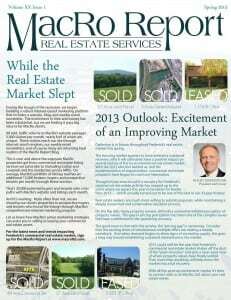 The 2013 real estate market outlook is improving and the market for land is showing signs of spring. During the trough of the recession MacRo began building a robust internet-based marketing platform… and it’s working. 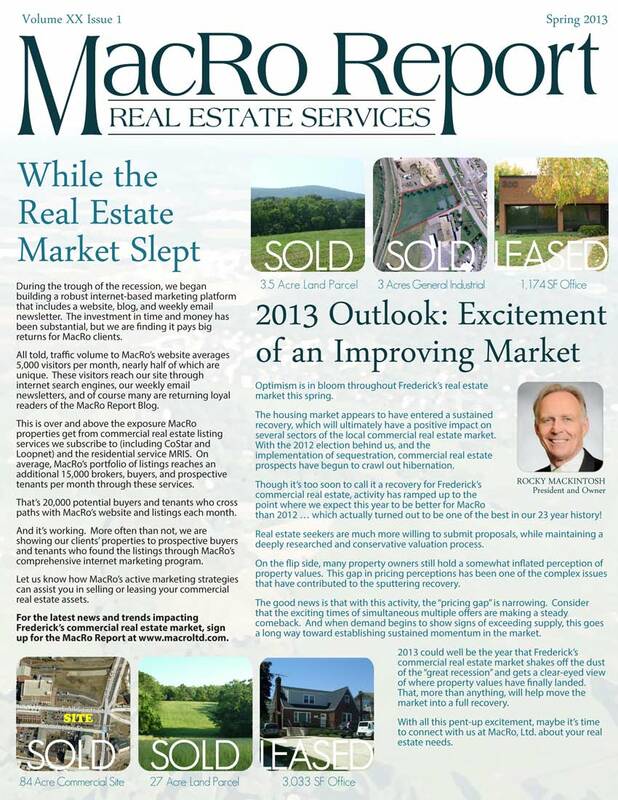 Optimism is in bloom throughout Frederick’s real estate market this spring. Is the Land Market Heating Up? Spring is officially here but it seems that old man winter doesn’t want to let go. While there are signs that the market is warming up, it’s difficult to determine yet if the cold headwinds that have suppressed the market for the past few years have abated or not. This past November, Kathy Krach made the transition from MacRo’s strategic marketing consultant to licensed commercial real estate agent.